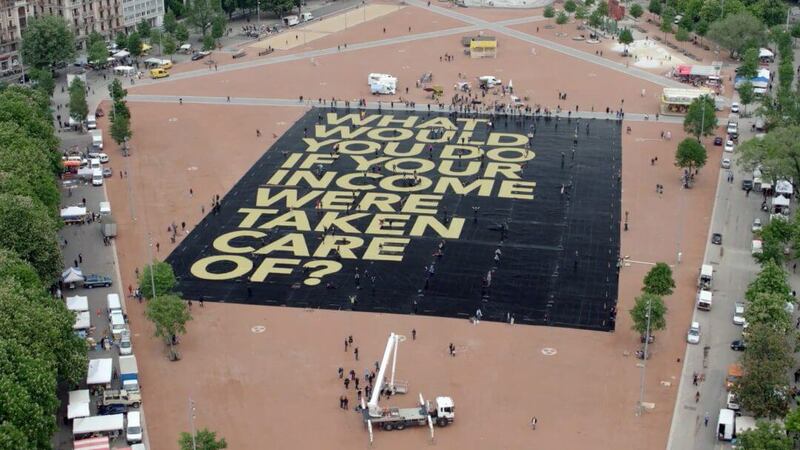 How does it feel to live in a society with a basic income? How would basic income affect my personal way of life? How would basic income become reality? What might the outcome be when people accept and deal with the freedom and responsibility linked to a basic income? For most people basic income seems to be far from being a realistic option. That is why discussing these questions is often possible only at a mere abstract, utopian or academic level. The UBI Future Lab is a long-term project that aims to offer people opportunities to immerse in the idea of basic income, allowing not only a deeper reflection, but also an emotional confrontation with the roots and implications of an unconditional basic income. Currently, a team of volunteers in Hamburg – in cooperation with UBIE members throughout Europe – is developing an exhibition concept with a focus on interactive modules that go beyond simple presentations on boards. With a diversity of designed spaces, playful tasks, inspiring installations and role play we want to engage with everyday issues on the level of personal experience. At the same time, important political issues and challenges are addressed, but without insisting on one-sided or ideological answers. The exhibition will address the European dimension of the idea, not simply in the sense of increasing awareness of a UBI and promoting it throughout Europe, but also by considering how a UBI, in and of itself, constitutes a significant contribution to a more sustainable and more democratic Europe. This is reflected in the working title BASIC INCOME ON THE WAY IN & TOWARDS ANOTHER EUROPE. Therefore, the exhibition will be designed to enable it to travel to different European locations in support of regional and local awareness raising and other activities. After finalizing the draft concept the next step of the project is to find professional partners and funding opportunities to realize the concept. People, interested groups and agencies are therefore invited to contribute to the exhibition project with ideas, skills, funding and professional networking. I’m student in the Master program »Design for Social Impact« at Paris College of Art. My thesis is circling around how speculative and critical design methodologies can be a tool to address the issue of basic income. I want to conduct a workshop format to enable plural futures how a world could be with a basic income and actually craft these collective futures in artefacts from the future or other medial representatives e.g. fictional kickstarter campaign. I would love to hear more about the work of the future lab and would be very grateful for your advise and tips for best practice. Would be great if you can contact me via mail. Let me know what you think and best wishes from Paris!